The press conference “Courts assist to corruption in medicine. 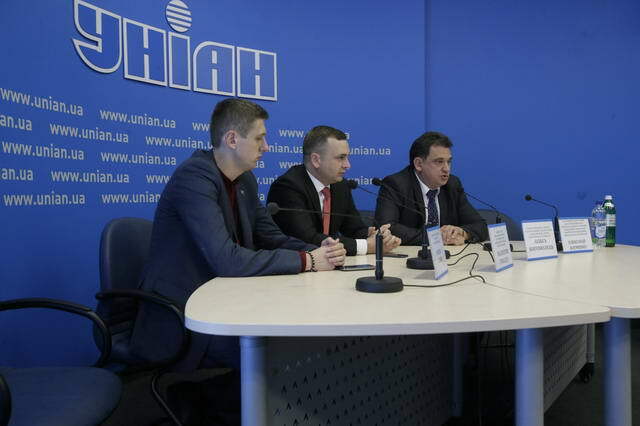 On example of reinstatement of ex-rector in Bogomolets National medical university Vitaliy Moskalenko” took place on 2, October at Ukrainian information agency UNIAN. 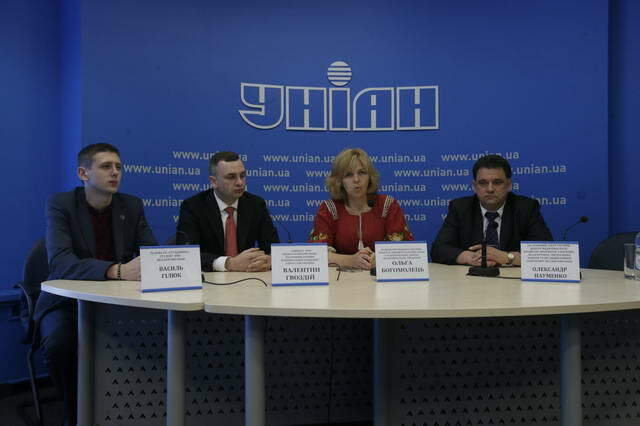 Councilor of the President of Ukraine, corresponding member in Supervisory Board of Bogomolets NMU, Doctor of Medicine, professor Olga Bogomolets; Doctor of Medicine, professor, honorary doctor of Ukraine Oleksander Naumenko; advocate of Bogomolets NMU, deputy chairman in National association of advocates in Ukraine Valentyn Gvozdiy, chairman in PU “STUDDOVIRA”, student of Bogomolets NMU Vasyl Pliuk took part in the press conference. The Revolution of Dignity proved that Ukrainian were tired of corruption and judicial self-will. The main indicator of a democratic state is the independent and incorruptible courts. Why do the courts themselves take the decisions, which do not only conceive the corrupt officials but return the mechanisms for further illegal actions to them? The brilliant example of such phenomenon is the desire of ex-rector in Bogomolets NMU Vitaliy Moskalenko to restore his post of the rector in university through courts. According to the words by Olga Bogomolets “no reform in health care would not work until the total corruption is destroyed, which absorbed this system from roof to catacombs”. 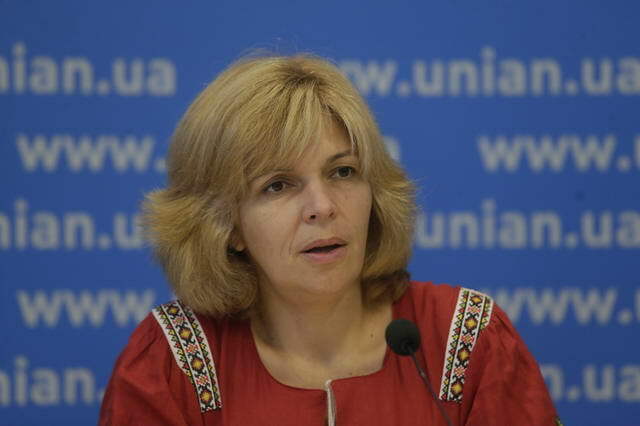 “Ukrainian society has been waiting for the change of the system. The society has also been waiting for the changes in the health care system. They do not also happen. All that relates both to the absence of desire to make reforms and to the absence of judicial reform, which is one of the most important things in the concept of the President. Today without concept of reform and without reform in law enforcing bodies, the reform in health care or any other sphere is impossible. Because if today there is a criminal at power, so, except people’s methods, there are no other ways to remove him from the power. Because the judicial system is corrupt and does not take decisions pursuant to objective facts but according to subjective desires”. Declared Olga Bogomolets. “For me the cleaning of the university, which has the name of my great grandfather, is very important. Because Oleksander Oleksandrovych was an extraordinary genius person, whose purpose of the life was to serve people. And the task of the university is to bring up such people, such doctors, who serve people”, she added. 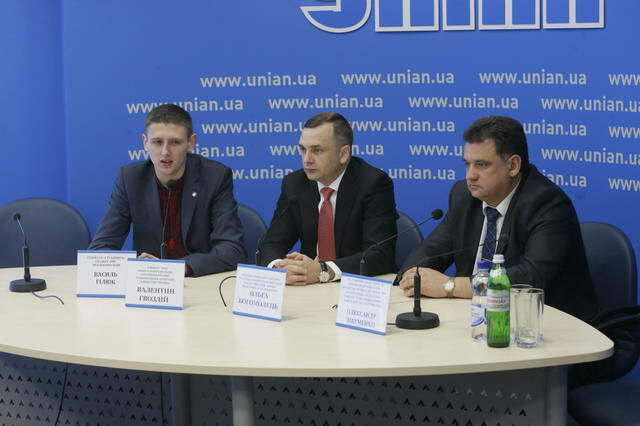 Advocate of Bogomolets NMU, deputy chairman in National association of advocates in Ukraine Valentyn Gvozdiy reminded that the court established that the dismissal of Moskalenko was made with clear observance of all requirements in legislation and was realized through the will of labor collective, which is entitled to express the mistrust to the rector if there are the grounds, it was made. “I am not entitled today to disclose the secret of investigation; I can only tell that a number of criminal proceedings, which subject is absolutely crying facts for plundering the state property by former management of the higher school, are performed. 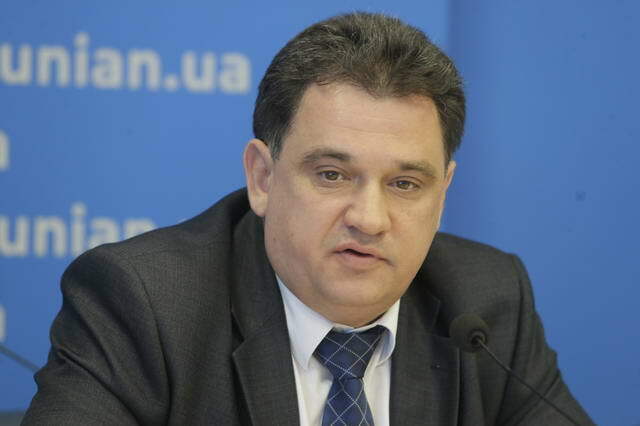 The law enforcing bodies will close the chapter on these proceedings”, – declared Valentyn Gvozdiy. “The opinion by members of labor collective and the will of collective is ignored by ex-rector Moskalenko. He continues his actions, related to the reinstatement in the post of rector. According to the law of Ukraine about higher education, the labor collective is entitled to elect the rector, to track his activity, to grow together with the rector and to work to the benefit of the university. The labor collective of our university expressed its opinion about that activity, which the rector of our university was carrying out. 74% of votes by members in labor collective of university voted for removal of Vitaliy Fedorovych from appointment to the post of rector in university and expressed the full mistrust to his activity at our university. 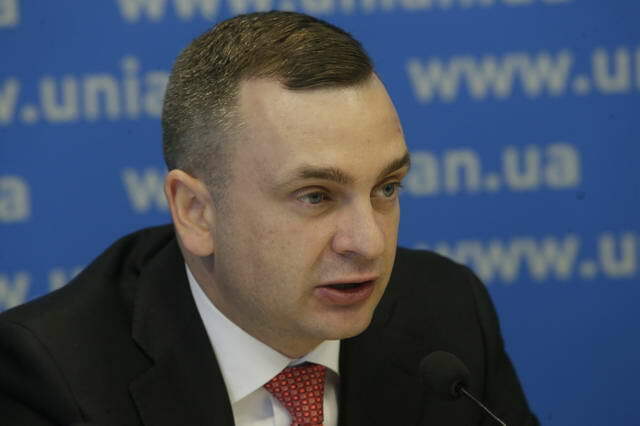 .According to this decision, the minister of health care Oleg Musiy signed the order about removal of Vitaliy Fedorovych from appointment to the post of rector. “Famous” Pecherskyy court restored him at the post. 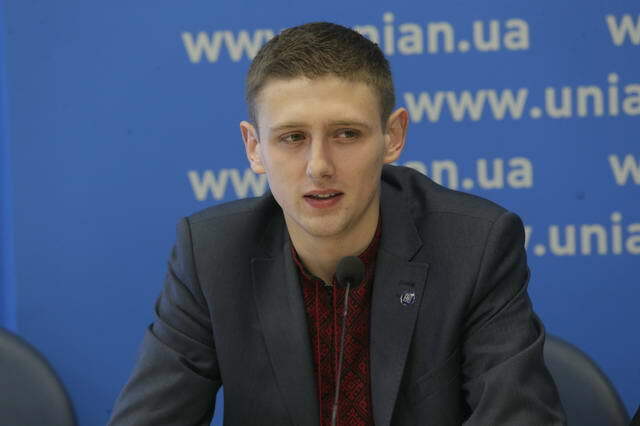 However, the Court of Appeal in Kyiv took the legal judgment, having cancelled the decision by Pecherskyy court”, – told Oleksander Naumenko. At the same time the chairman in public organization “Studdovira” at Bogomolets NMU mentioned that no one has been waiting for ex-rector Moskalenko at the university. “There is the opinion that both teachers and students are guilty of corruption. But I have the clear vision that fish rots from its head. It is good that our university managed to cut this head in connection with events of our Revolution of dignity. The studentship felt the positive changes with advent of the new rector and we will not allow returning a human, with whom the dark past of our university is connected”, – added he.